When you're choosing a server you first need to identify your requirements, such as a database server, mail server, rendering farm. 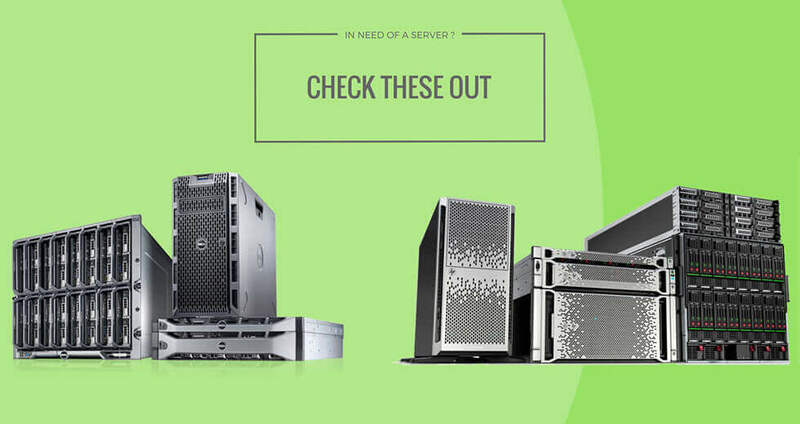 Once you've identified the type of server and the specs you need, next it's time to figure out which kind of server to get. This is mainly due to the environment it will be stationed in but it boils down to 3 different kinds: Rack, Tower, and Blade server. This is very common in a more enterprise environment. To save on space and to consolidate all the equipment in a designated, cooled and load balanced environment, you should get a rack server and rack mount it to your existing rack cage. Due to the form factor of a rack server and the cooling requirements, they can be very loud from air circulation so don't plan on putting one on an unoccupied desk in the same office that employees are working. Rack servers will require special setup (rack installation), rail kits to slide the units in and are better for small businesses that are well versed in the world of servers or mid-sized business' that will grow and require more servers in the future. Tower servers are great for small business environments due to their tower frame and expandability. They do not require any pre-installed environment and can be used in an office environment next to other employees if needed. Do not need centralized deployment. Do not have a system administrator in house and the owner or one of the employees needs to do only basic maintenance of the networked resource. Businesses that do not want to worry about security. Do not have centralized location or limited in space. Usually for an environment with less than 25 employees. Businesses that are looking to save on money. The tower servers are usually sold for a cheaper rate than there rack server equivalents. This is a very compact system and is perfect for virtualized, centralized environment. They are designed specifically for high-density server environments with the ability to expand resources through the deployment of more blade servers within an enclosure. Since all of the Blade servers are contained within a single enclosure, they do share particular resources such as management, power, cooling and a few other aspects. The initial cost for setting up blade servers is usually quite high as they require specialized environments, an enclosure, and are usually accompanied by a storage unit since they have minimal hard drive space due to the form factor. Even though the initial cost is high, the benefits to going high-density means more processing power, less space, less total power consumption and less time and money spent on management. Blade servers are mostly tailored for businesses that require large virtual environments that occupy the least amount of space, have a high processing output, and/or are planning on setting up in a data center since less space usage means less overall cost.